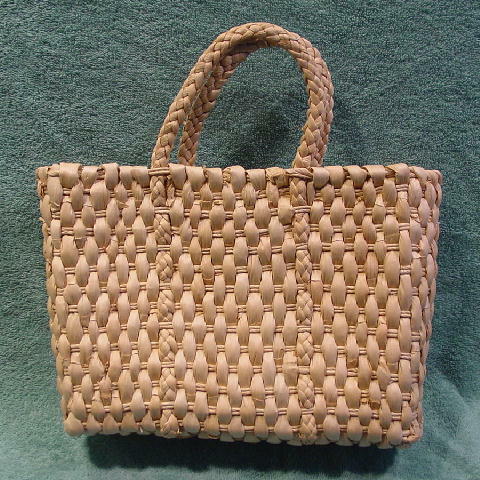 This vintage tote purse has an exterior made of 100% cornhusks. 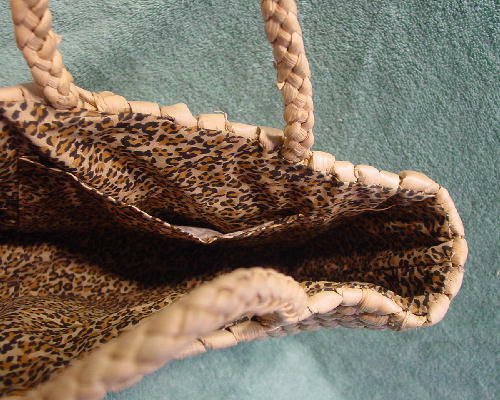 It has an interior 100% cotton lining in an animal print design in pale sand, light brown, and black. 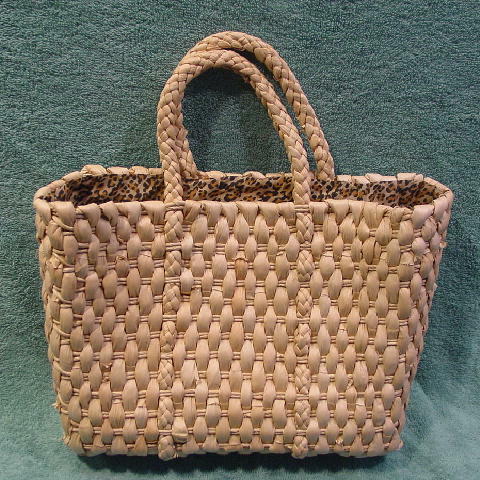 There are two 11 1/2" long pliable handles. The bottom underside has two reddish spots. The interior has a large open pocket.